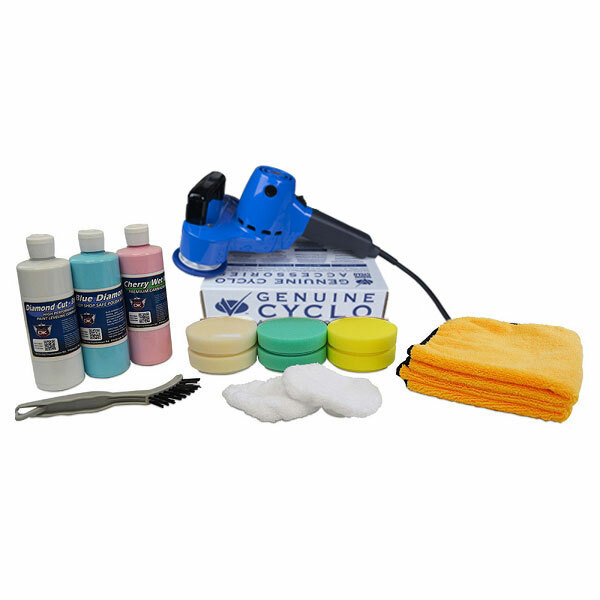 Cyclo Polishers are perfect for the car enthusiast and the pro detailer alike to be used as a random orbital polisher for minor paint correction and final finishing. 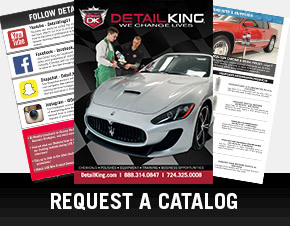 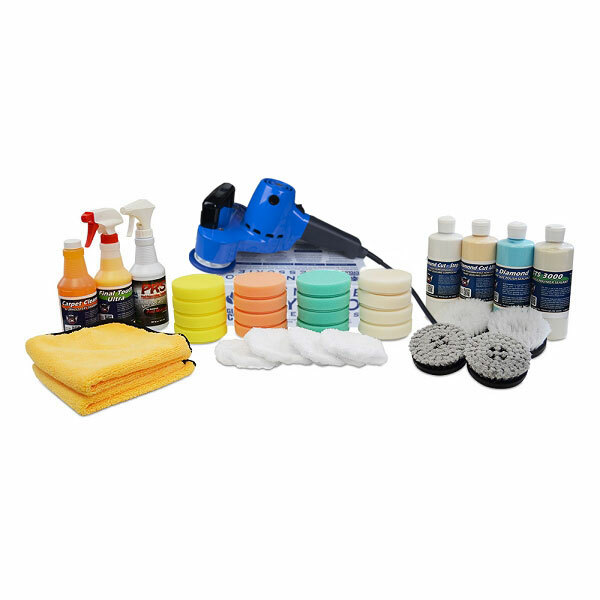 Detail King offers a large variety of Cyclo Dual Head Poisher Kits, that will give you the ability to detail the exterior and interior of any vehicle. 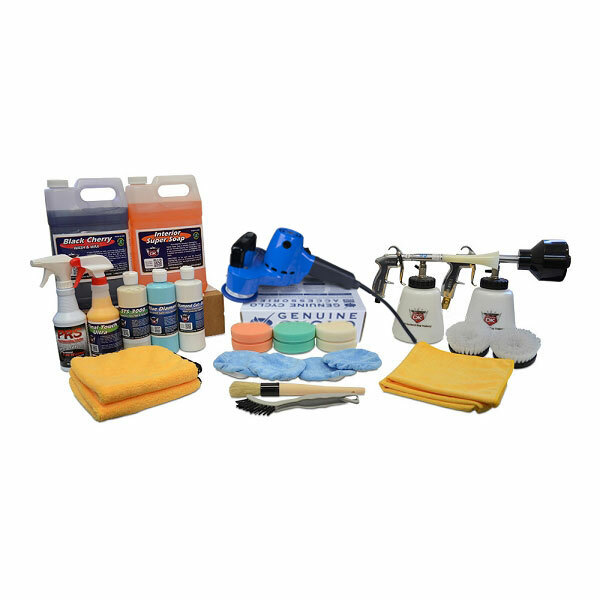 The Cyclo Polisher has been around for years and was originally designed for polishing aircraft. 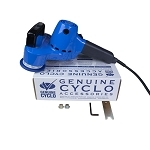 The Cyclo dual head buffer is not a rotary buffer so it will not create much heat, which in-turn makes it extremely safe to use, even for the novice auto detailer! 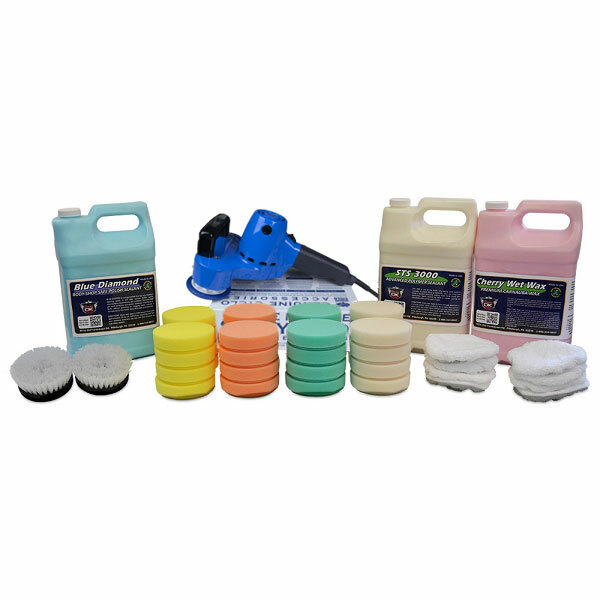 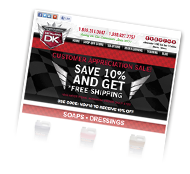 If used with the proper paint leveling polish or micro compound it can perform flawless light duty to medium duty paint correction. 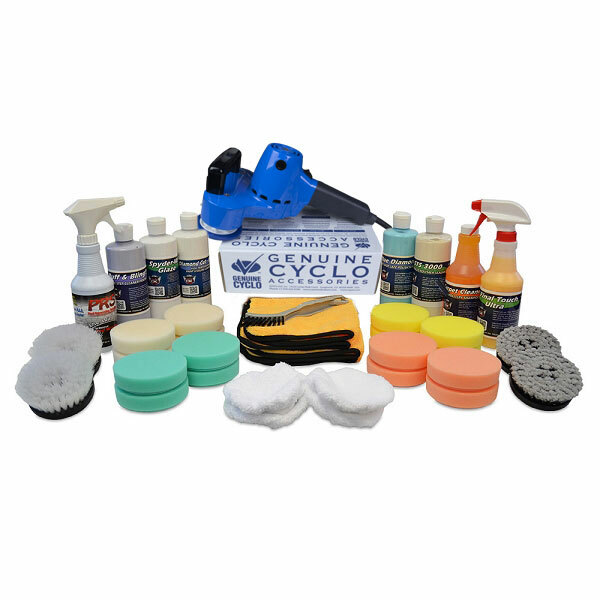 You can now download the New Cyclo Polishing Guide! 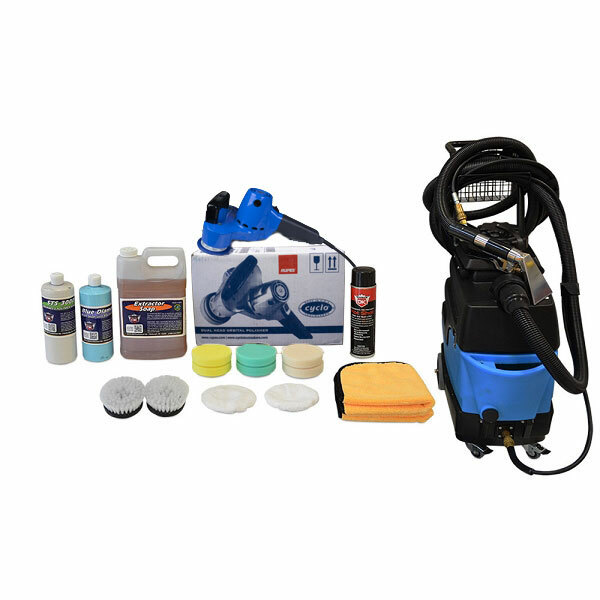 The Cyclo Orbital Polisher Model 5 Pro is a variable speed polisher and is perfect for car interior cleaning of the upholstery and carpeting. 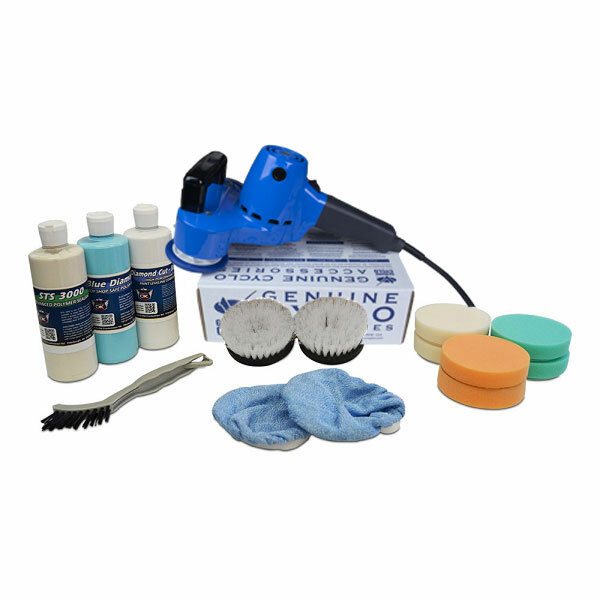 When using the Cyclo Model 5 Pro for interior scrubbing the speed controller allows you to slow down the oscillating dual heads so you can easily control and reduce shampoo splatter in the car interior. 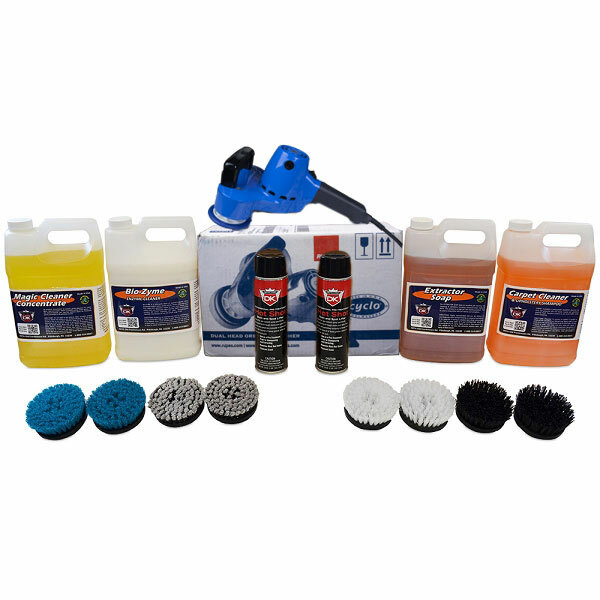 Detail King has a huge selection of Cyclo Brushes for both interior and exterior car cleaning applications. 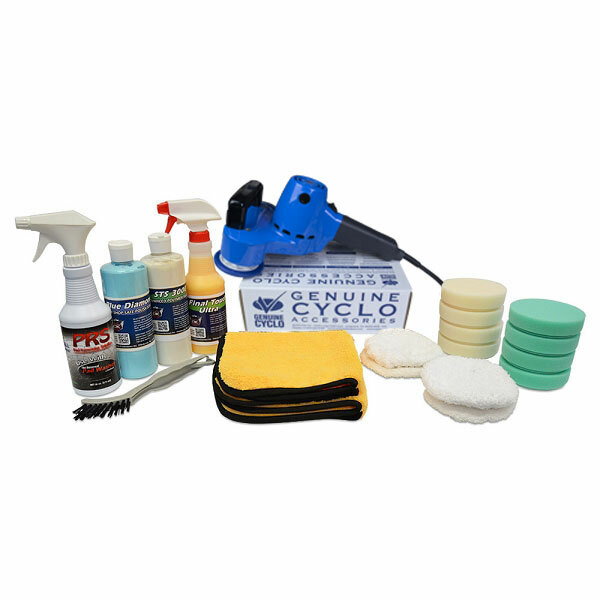 Another useful benefit of the Cyclo Orbital is for use on RV’s, boats and stretch limousines. 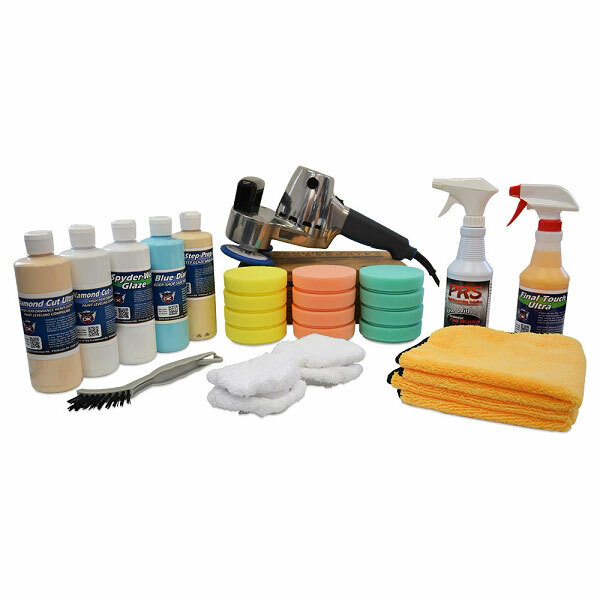 The dual heads really come in handy and save labor time when polishing large over-sized vehicles and also when performing Express Detailing services. 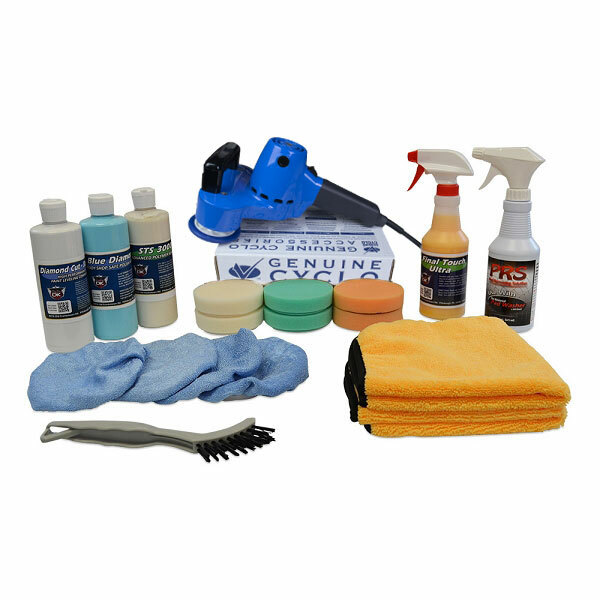 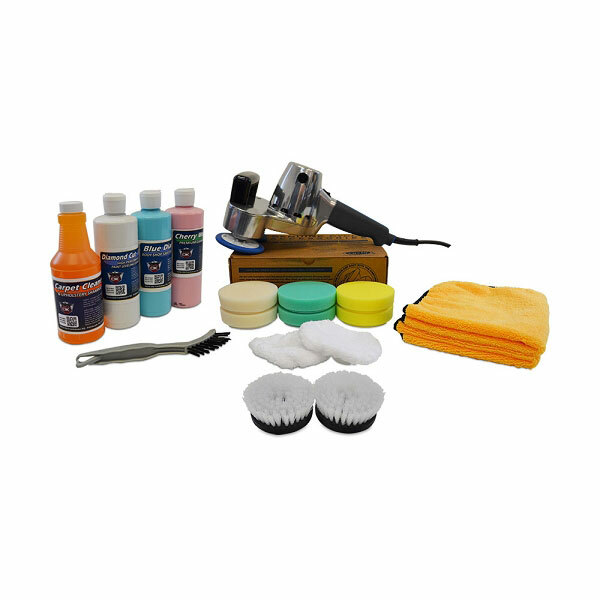 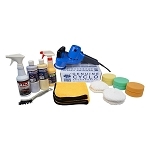 This Cyclo Polisher Model 5 Mark II w/ProGuard Plates (NON Variable Speed) features an on/off rocker switch, improved ergonomic handle design, new brush holder with stepped profile for replacement without special tool, and an improved body.